Hello, lovelies! Today I must share my latest shoe investment. I don't know if you're like me, but every Spring I'm determined to find the perfect pair of sandals that will totally update my looks. Well, my search is over, because I've found the chicest sandals around and they come at a very reasonable price. These sandals are handmade in Italy, which, in our mass production world has become very rare. 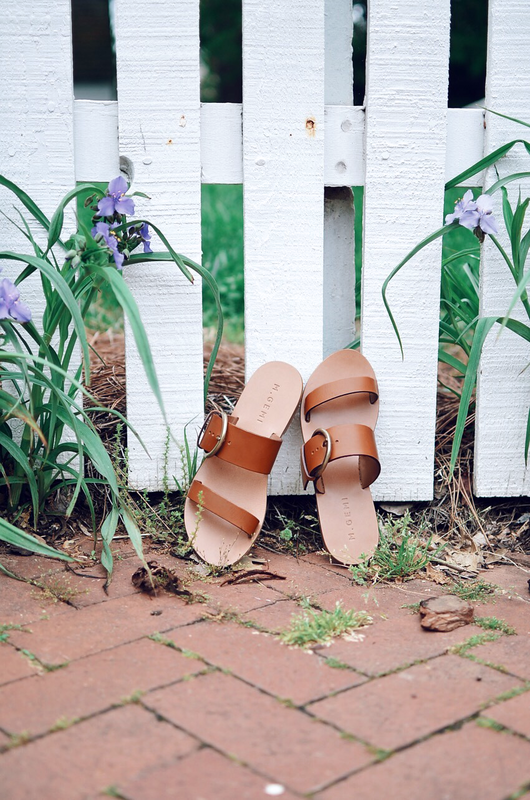 The big buckle detail is what makes these classic sandals very fashion forward. So far I wore them only once; in fact, I wore them the same day I received them. The weather yesterday was a tad chilly, but this didn't stop me from enjoying my chic sandals. I can't imagine a Spring, Summer or early Fall outfit that will not look great with these terrific sandals. 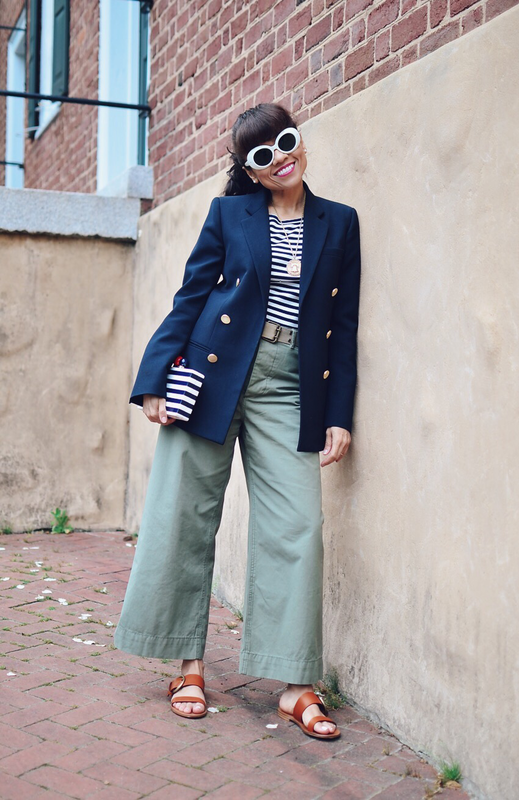 I'm sharing with you one photo of a nautical inspired outfit (my signature look) with these sandals, however, expect to see more outfits throughout this year. And by the way, this is not a sponsored post. Find your future best friends here.